The renovation of this Fraemohs home in Hoon Hay was an enjoyable and rewarding challenge. Houses built in this style don't just have normal straight walls to contend with - there are lots of areas where the wall juts out and we had to build and install our cabinetry to fit around these. 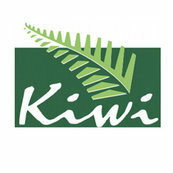 Our customers love the result! So much bench space and so many drawers! 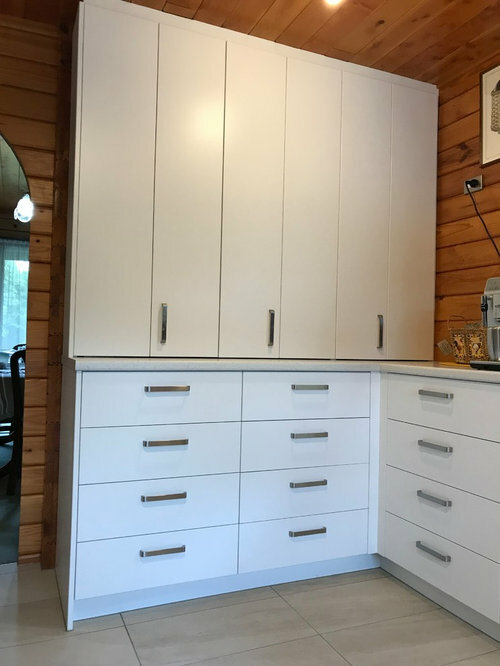 We gave our customer lots of drawers in their design. Drawers make life so much easier! No more kneeling on the floor to find things lost at the back of dark cupboards! 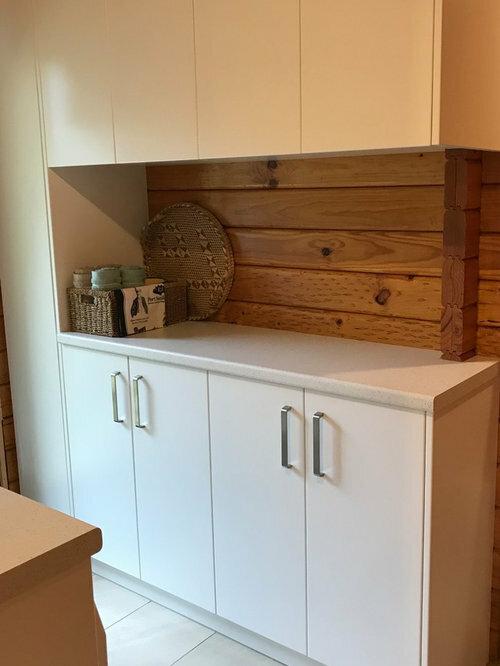 On bench pantry gives a huge amount of easily accessible storage. 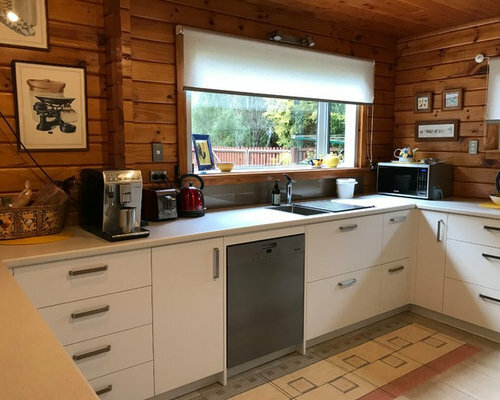 What had been a bit of a useless space has become a great area for the fridge and a broom cupboard. 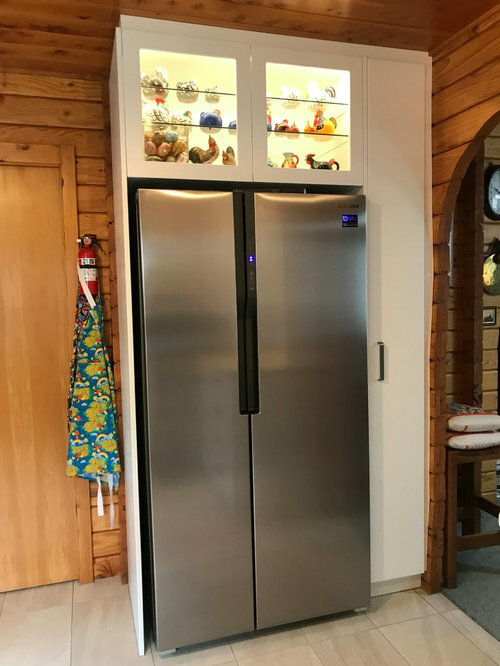 Our customer chose to have a glass fronted cupboard above the fridge with an internal LED light and glass shelving to display some precious pieces. So much bench space and so many drawers! 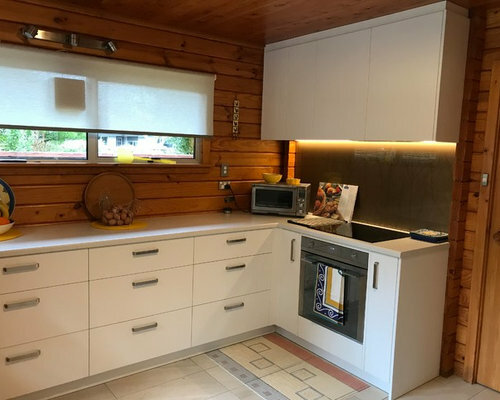 We have fitted an LED light under the wall cabinetry which lights up the cooking area. 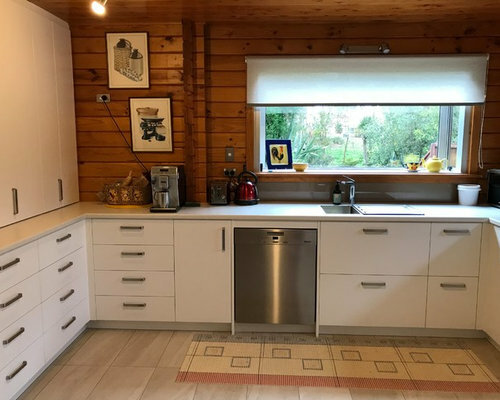 The laundry has been transformed into a lovely room by the addition of benchtops and cabinetry to match the kitchen creating lots of light and bright clean lines. 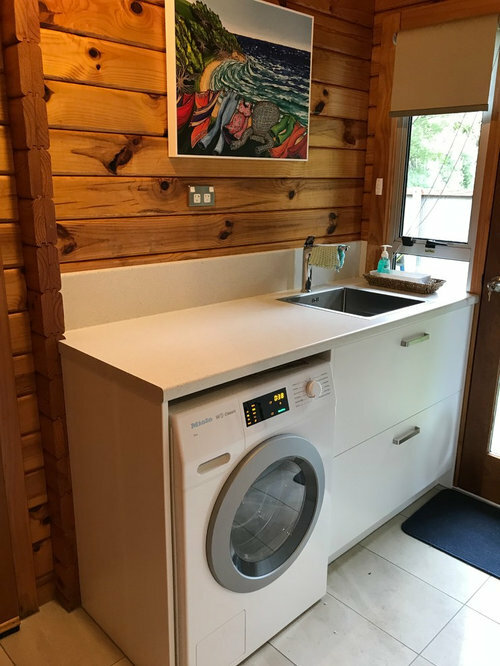 This side of the laundry had been just tall storage cabinets but by adding a bench top we have retained lots of storage while making a more user friendly space.